Welcome to our wireless doorbell reviews! The reviews below are in order of the score acheived. Jump to the bottom of the page to see the criteria used. Wireless doorbells make a sound when you have a visitor! You need to be able to choose from a wide variety of sounds, including the classic ‘ding dong’. Some wireless doorbells only have a small number of chimes to choose from. For a wireless doorbell to receive a good score for melodies, they have to provide a large number of choices. The minimum waterproof rating we recommend is IP33. Anything less than that will not score very highly for this criteria. The vast majority of wireless doorbells have a waterproof rating of IP44 but we have seen IP66 before. As the IP rating increases, as does the waterproof rating. The IP rating not only gives us the waterproof rating, but it also gives us the dustproof rating, which is also important when choosing a wireless doorbell. We have heard wireless doorbells hit a maximum of 125dB, which is more than loud enough! If you are hard of hearing, it is extremely important for you to hear when you have a visitor. The average volume for a wireless doorbell is around 90dB, so we use that as a benchmark to receive a good review score in this criteria. The range is extremely important! All wireless doorbells will advertise a certain range, but you need to know that this range is open air only. When you install a wireless doorbell into your home, you introduce obstacles. As the wireless signal leaves the push button, it needs to travel through the objects to get to the receiver. Each obstacle that the signal passes through weakens the signal, therefore reducing the distance it can travel. Obstacles include walls, roofs, doors, people, and other electrical items. When you read an advertised working range, simply take 50% of that to be the actual working range. Peace of mind is extremely important when buying anything, and that includes a wireless doorbell. 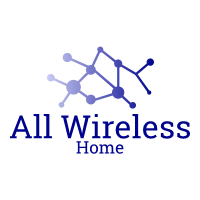 During our wireless doorbell reviews, we consider what warranty is available. The most common warranty time frame is 12-months but we have seen up to 36 months warranty before. Outside of parts warranty, many manufacturers offer a money back guarantee, which we love seeing. If you are not happy with your product, then simply return it with no questions asked. If a manufacturer is offering a 60-day money back guarantee, they are showing confidence that you will love it! If they offer a 12-month parts warranty, then they are showing confidence in the product they have supplied.